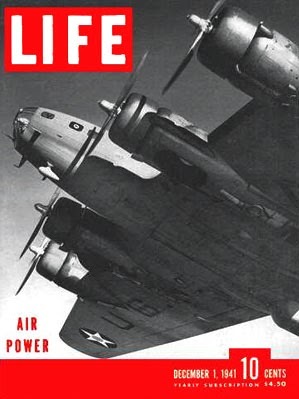 Also arriving in the mail to homes all over America and Hawaii was the LIFE magazine cover story entitled "Air Power" featuring a B-17 bomber on the cover. However, the unfortunately timed arrival of the new B-17's from California destined for the defense of the Philippines were flying right into the Japanese surprise attack on Pearl Harbor. The concept of AIR POWER on that morning belonged to the Imperial Japanese Navy...as well as phenomenal luck! Fate couldn't have played a worse hand for the sleeping Oahu military guarding the bases around Pearl Harbor. Instead of a full scale air raid alert that would have sent Army and Marine fighters into the air to challenge inbound Japanese bombers, the B-17 flight arrival caused the Army radar report from Opana Point of a mass of incoming planes (actually Japanese) to be dismissed as the expected flight of American Army B-17 Flying Fortresses. 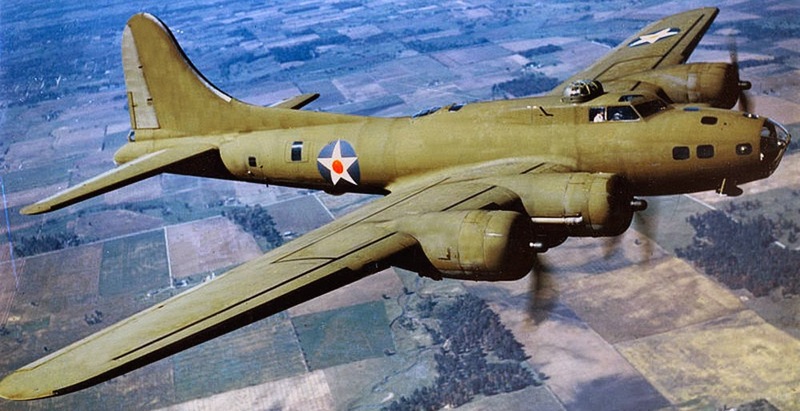 In order to save fuel, the B-17s had a skeleton crew consisting of pilot, copilot, navigator, engineer and radioman. They carried their bomb sights and machine guns but no ammunition; the 2,400 mile (3,840 km) flight required all the gasoline the aircraft could carry. 12 unarmed B-17's like this one were inbound to Hickam Field on the morning of December 7, 1941. Among them was an Army Tech Sergeant with a Speed Graphic camera. The full story of this B-17 flight is quite amazing, but has been omitted here to primarily address two of the most famous photos taken during the December 7, 1941 attack on Pearl Harbor. These were the very first air to air combat photos taken during the opening moments of the Pacific War and they were taken right over the coastal community of Ewa Beach, Hawaii. 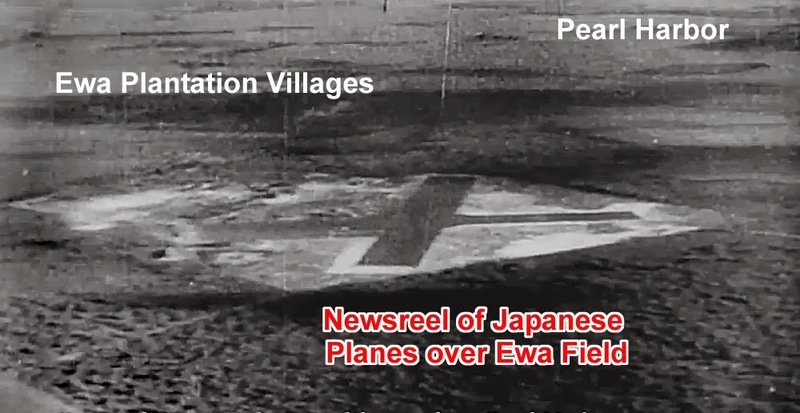 The Japanese used the airspace over Ewa as their primary staging area for the attack and withdrawal of their naval air forces. 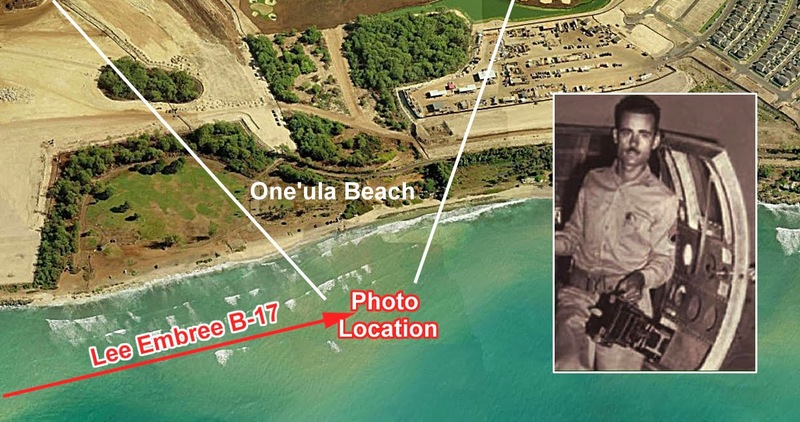 The long B-17 flight over the ocean was uneventful, and as they neared Hawaii, radio station KGMB was playing Hawaiian music for them to use in locating the island. Ironically this also provided an excellent homing beacon for Japanese planes! The flight contacted the Hickam Field tower at 0745 hours local Hawaiian Time but was still too far away, and the transmission was too garbled for anyone to understand. A few minutes later the B-17s sighted the Hawaiian Islands and Oahu came into view on the horizon. As the planes got closer Army Tech Sergeant Lee Embree in one of the B-17's saw what he thought were burning sugar cane fields in the distance as they neared Pearl Harbor. A logical assumption as Pearl Harbor was bordered by sugar plantations. The B-17 flight then spotted a group of fighter aircraft coming to meet them. Thinking they were Americans, the pilots were glad to have escorts for the remaining miles into the field. Unlike the Zero fighter, the D3A "Val" was a dive bomber equipped with 7.7 mm wing machine guns and a rear gunner with a swiveling 7.7 mm machine gun. These planes extensively strafed Ewa Field, Ewa Plantation and also strafed and killed an Army railway engineer at nearby Fort Barrette. At Ewa Field, some Marines watching the first Zeros coming in to strafe the lined up planes were saying "somebody's going to the brig for using live ammunition!" But it soon became apparent to everyone that this was no realistic drill and Marine sergeant John Hughes was already at the airfield armory getting ammunition for his 1903 bolt action Springfield rifle. In the B-17-E passing along the shoreline by Ewa Field that Army photographer Lee Embree was in, they were met by D3A "Val" dive bombers that flew in close firing some shots, but the Japanese planes were still wary of the large American bomber, which they didn't know wasn't armed. "They passed us so close on the left, I could see the pilots' faces," he said. "They were grinning from ear to ear," Embree recalled in a post war interview. "We were just very lucky," Embree said, "The plane was hit several times, but we weren't." On its third circle over Pearl Harbor and passing near the already under attack Ewa Field Marine air base, Embree's plane was out of fuel and forced to land — still in the midst of the attack. 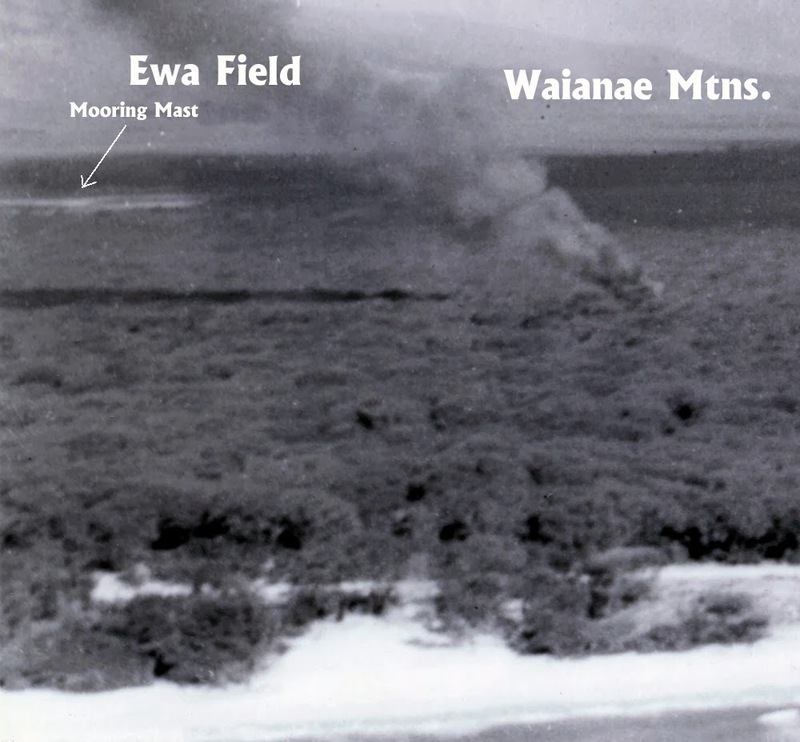 The plane made its Hickam Field approach along the Ewa shoreline, passing by One'ula Beach when Embree took one of the most famous photos of the December 7 air attack, which shows Ewa Field in the background and the burning reckage of a Japanese D3A Val and an American Navy SBD from the USS Enterprise, both crashed in the same location. D3A "Val" dive bombers circle over another crashed Val involved in a dogfight with a Navy SBD from the USS Enterprise which has also crashed in the same location. 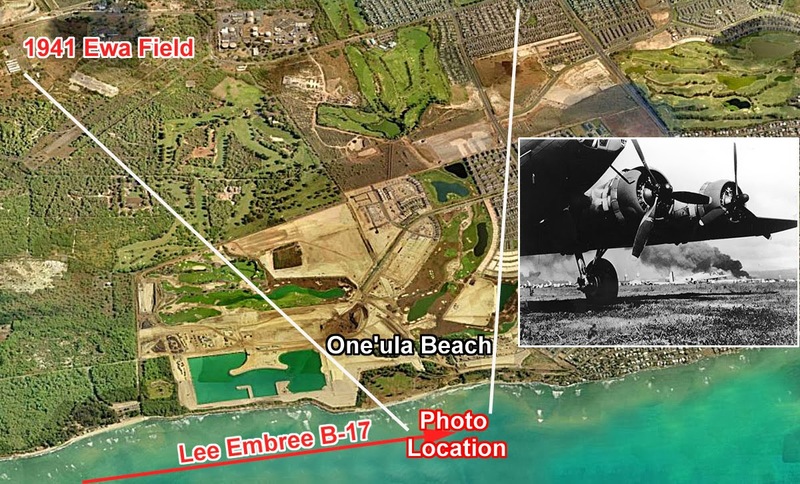 Close-up of Lee Embree photo shows the One'ula Beach location, Ewa Field and crash sites. 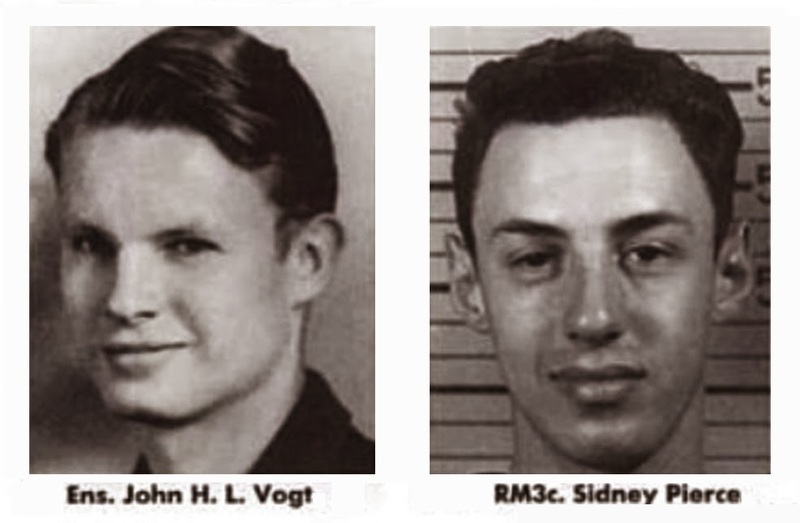 Killed in this air crash was the Navy SBD crew and also two Japanese D3A air crew. More Navy SBD's were shot down in this same area crashing nearby or off shore. 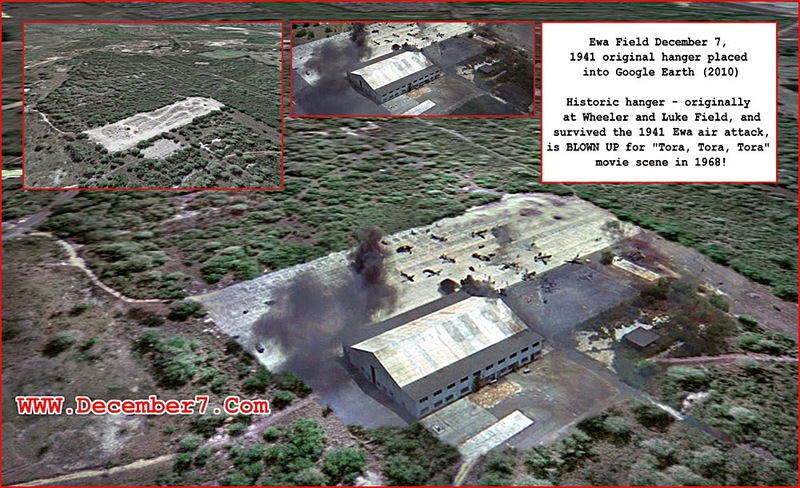 "Many people have asked me why I didn't take more photos from the air," Embree said. 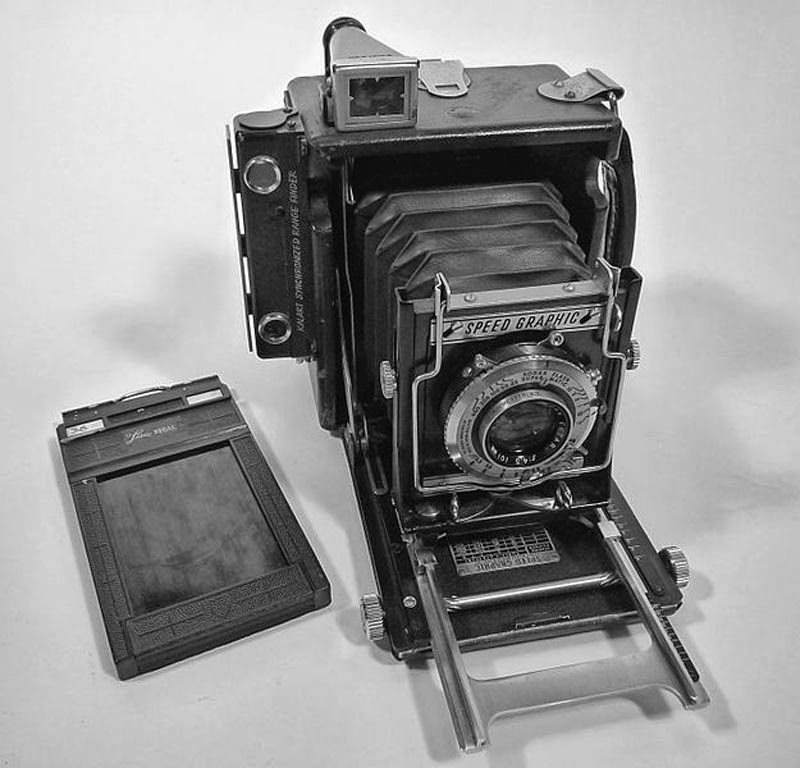 "I can only answer that I was so flabbergasted at what I saw that I forgot about the camera that was in my hand." 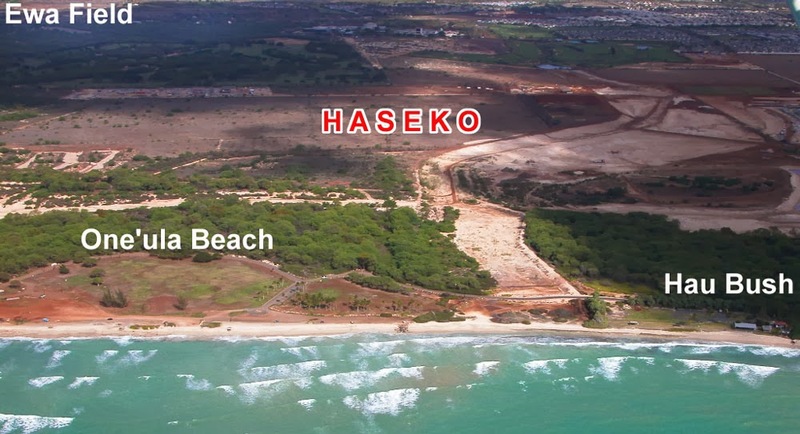 Before the Haseko development began this is how the area looked around 2000. This coastal area has been radically transformed over the past 13 years and is now filled with houses. The bodies of two Japanese aircrew remain buried in an unknown Karst sinkhole in this same crash site area. Navy SBD's of the same USS Enterprise pre-war era shot down around the Ewa shoreline and Ewa Field. 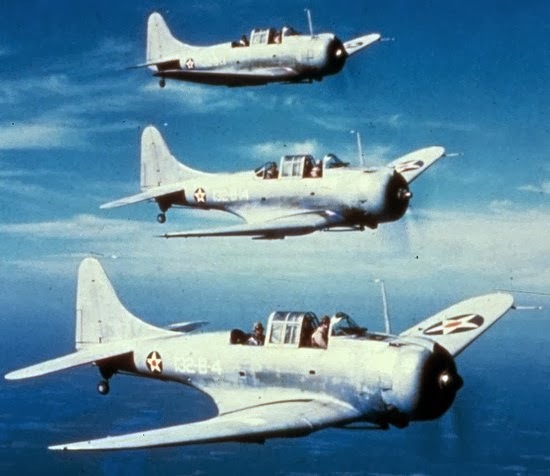 The planes were in a similar class as the Japanese D3A "Val" as dive bombers with a rear seat gunner. Navy SBD dive bombers were to later take great revenge against the Pearl Harbor attacking Japanese air craft carriers and crews at the Battle of Midway in June 1942, sinking four Japanese carriers and placing the Imperial Japanese Navy into a mostly defensive posture until the end of the war in 1945.
on the ground at Hickam Field as planes burn in the background. and passed away at his home in Washington State on January 24, 2008. The view today off Ewa Beach - Puuloa and Iroquois Point shows the inbound path for landing at Hickam Field. 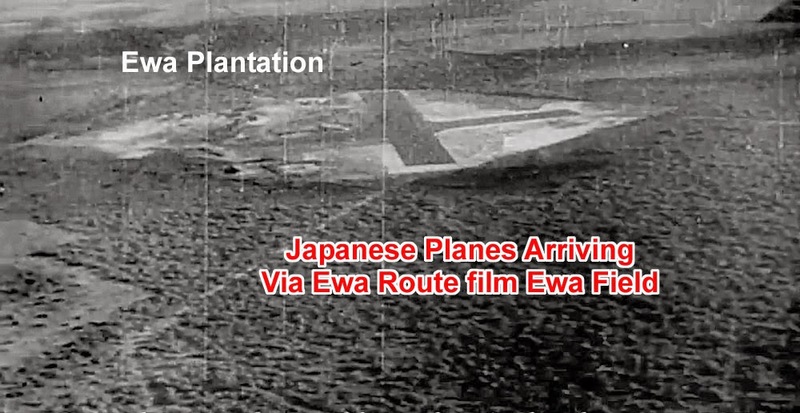 After bombing Pearl Harbor Nakajima Kate bombers left along the same Ewa route. and even made art posters and a propaganda film distributed world-wide which used German composer Richard Strauss "Also sprach Zarathustra, Op. 30" music featuring the initial fanfare entitled "Sunrise" – which many decades later became particularly well known to the general public due to its use in Stanley Kubrick's 1968 film 2001: A Space Odyssey. 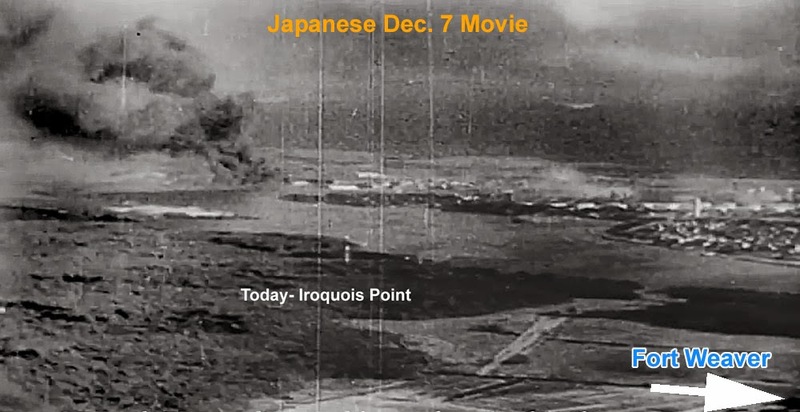 Here's the actual Japanese Wartime Newsreel "Air Attacks Over Hawaii"
with "Sunrise" soundtrack in Flash and WMV formats for your viewing pleasure. D3A "Vals" taking off to bomb Pearl Harbor and later strafe Ewa Field and Ewa Plantation. Japanese photo of Nakajima Kates with torpedoes flying inbound over Lualualei heading towards Ewa where they would fly past Ewa Field and over Ewa Plantation villages, as witnessed by numerous village residents, Sergeant John Hughes, and is included in the Ewa Battlefield report. 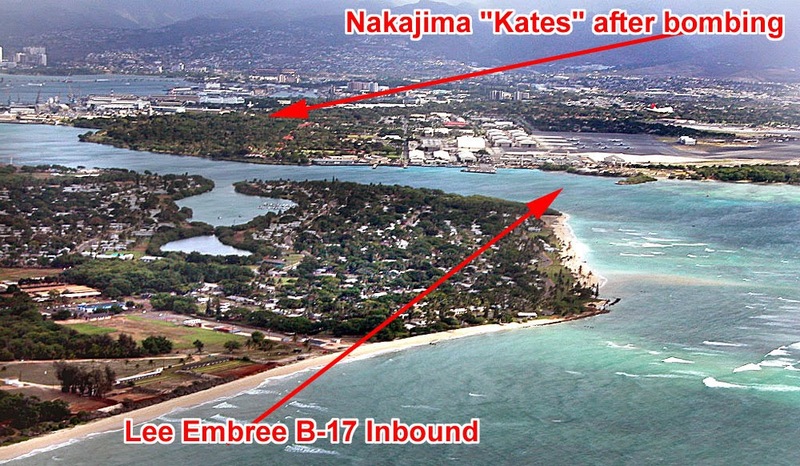 Outbound Japanese Kates have already dropped bombs and heading back along Ewa shoreline. Japanese art poster and postcard produced for Japanese wartime population. Below are frames from the wartime Japanese newsreel entitled "Air Attacks Over Hawaii"
with Strauss "Sunrise" theme music. 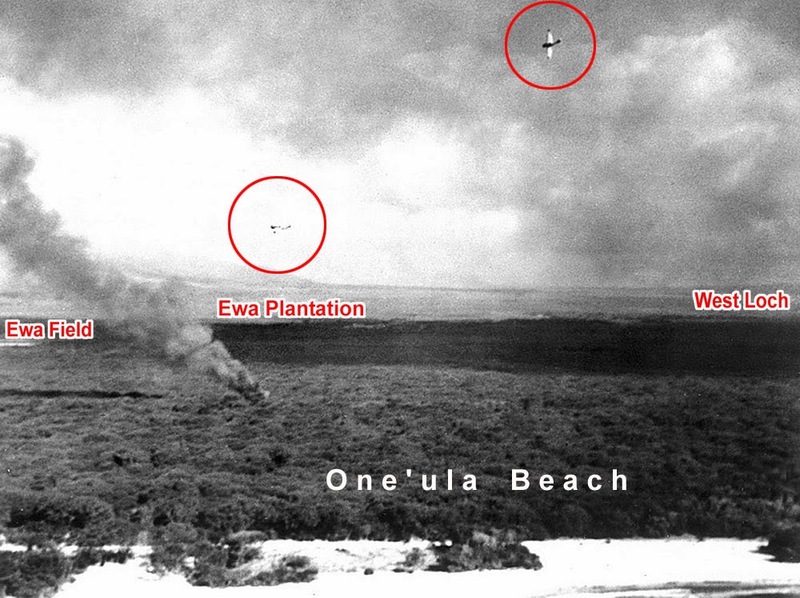 The Ewa area was the primary staging and gathering place for attacking Japanese planes. 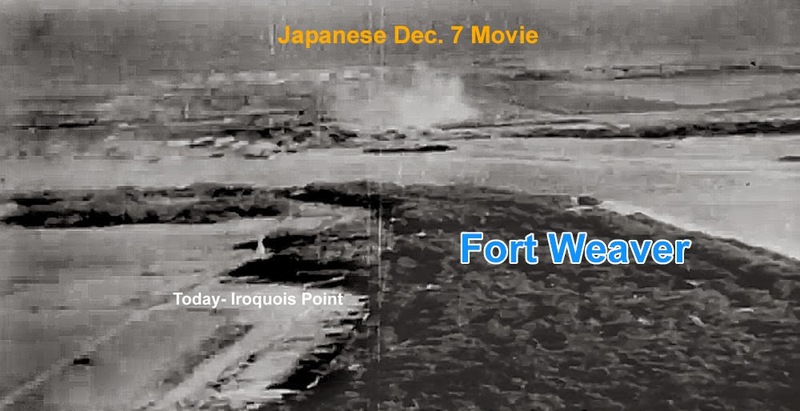 A Final Great Movie Irony - Ewa Field stars in "Tora, Tora, Tora" but gets no credit! 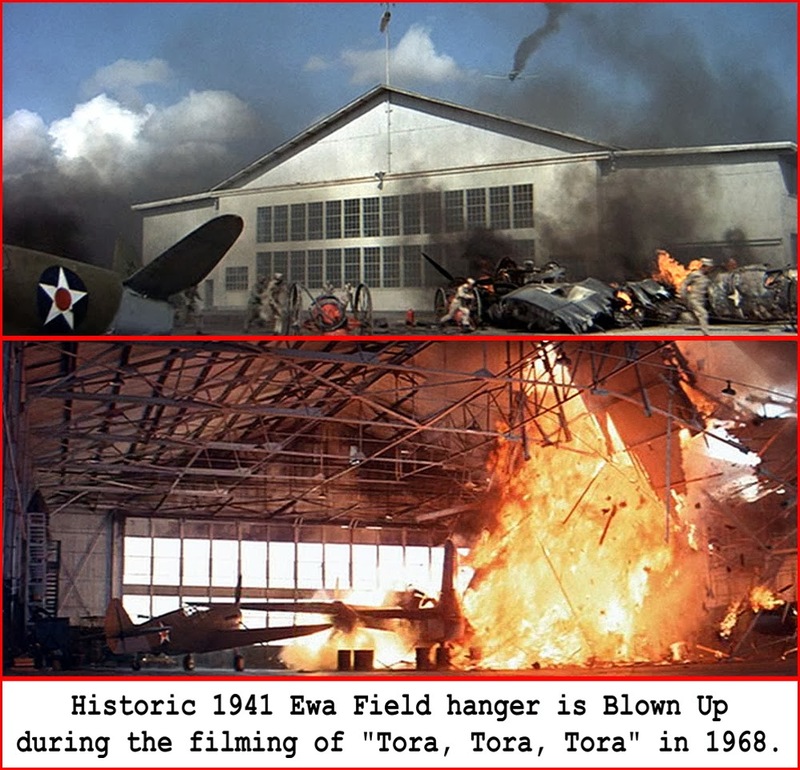 A final great irony to the Ewa Field story is that Navy real estate managers allowed the very historic Ewa Field hanger, that survived the December 7, 1941 attack and had its own aviation history going back to the 1920's, to be blown up in a scene for the movie "Tora, Tora, Tora."